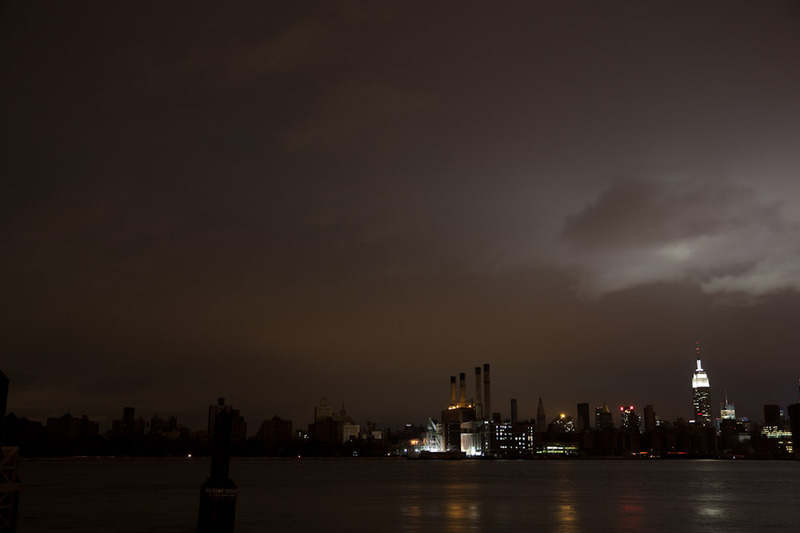 Haunting, dark images of the NYC skyline at approximately 1:00 am on October 31, 2012, the night after Hurricane Sandy devastated the city. 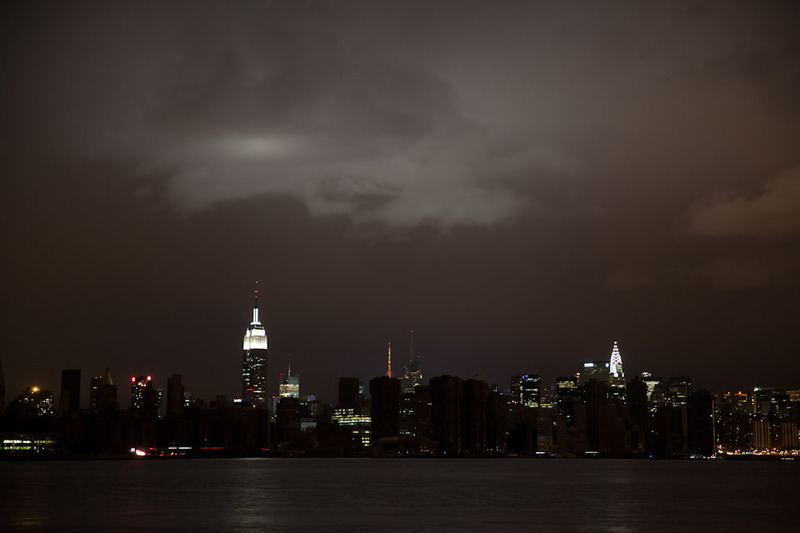 Millions of residents and much of lower Manhattan are still without power. The first image was published on NBC New York this morning here, here, and here and also broadcasted live on their morning show. Images copyright Reuben Hernandez. All rights reserved.